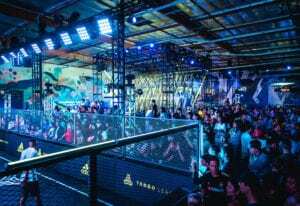 Right at the start of World Cup fever this summer, adidas staged one of several street soccer experiences as part of the brand’s global Tango League competition series. 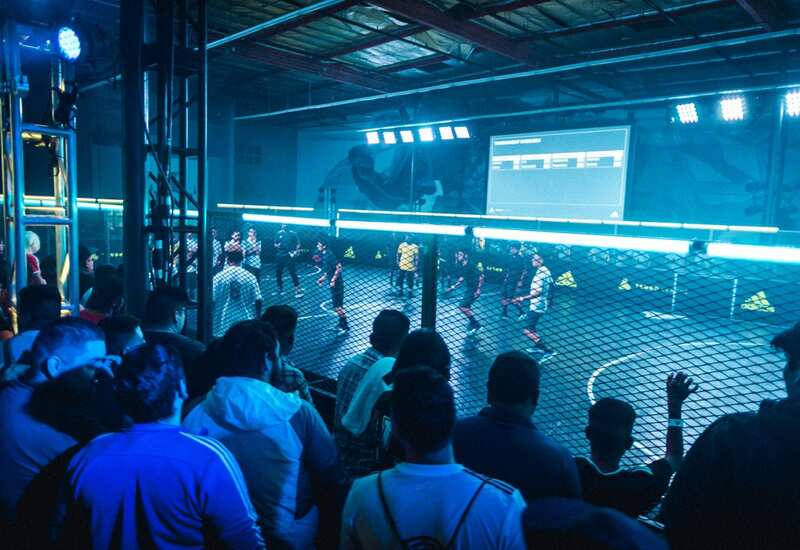 Held at the indoor UrbanFutsal facility, The Base, in Los Angeles on June 16, the event coincided with the launch of the adidas Energy Mode X18 boot and also fueled the brand’s U.S. soccer narrative for the year. “It creates a really amazing opportunity for these young players to be seen on an international level and grow their fame,” Miller says. 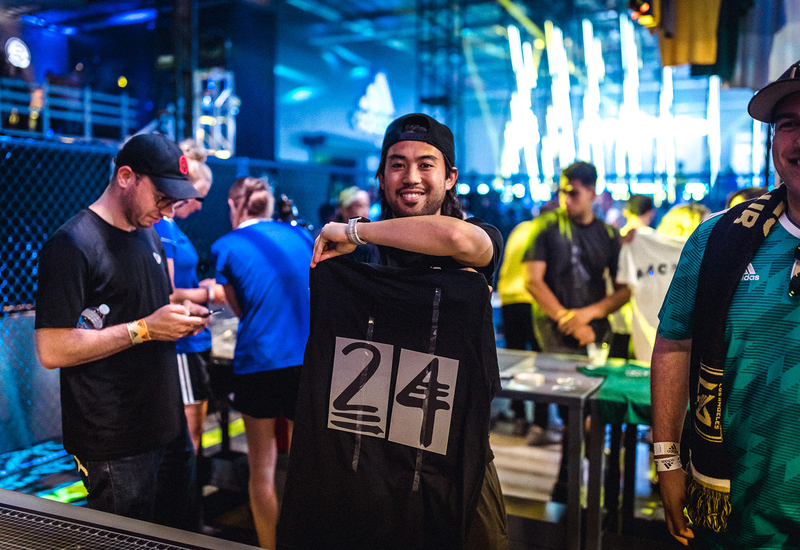 Activations included a Maker Lab, where customized jerseys were created for attendees. But back to the Tango League tournament event itself. The L.A. event offered touchpoints surrounding art, music, fashion and sports. 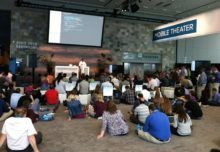 Inside the venue, eight Xs (a nod to the new adidas X18 boot) were suspended from the ceiling and equipped with sound-responsive lights. A pair of X18 boots was suspended as well, and neon green letters that spelled the phrase “UNLEASH SPEED” were stenciled onto the floor. 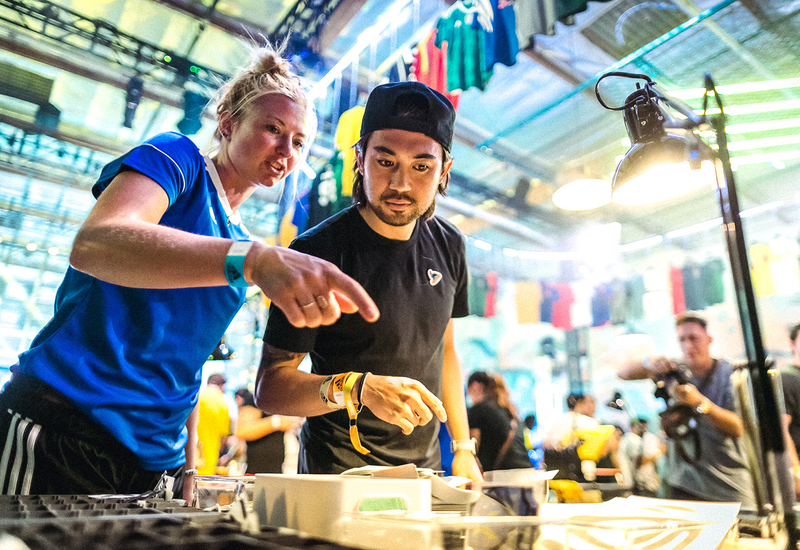 Activations included a Maker Lab, where customized jerseys were created for attendees. 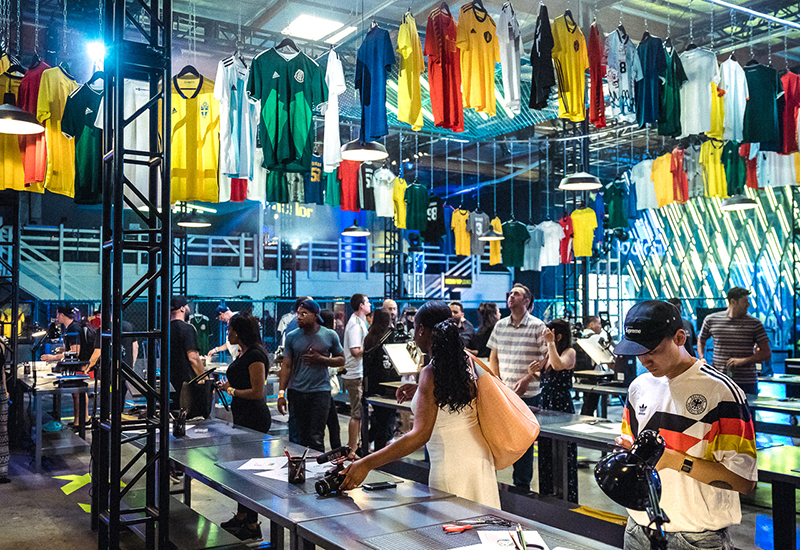 The jerseys were a mashup of one of eight federation tees—each on display outside the Lab with photos of iconic street pitches (soccer field surfaces) from each country—and a piece of fabric created by L.A. graffiti artist Saber. The jersey/fabric combo was then fused together by seamstresses on-site. 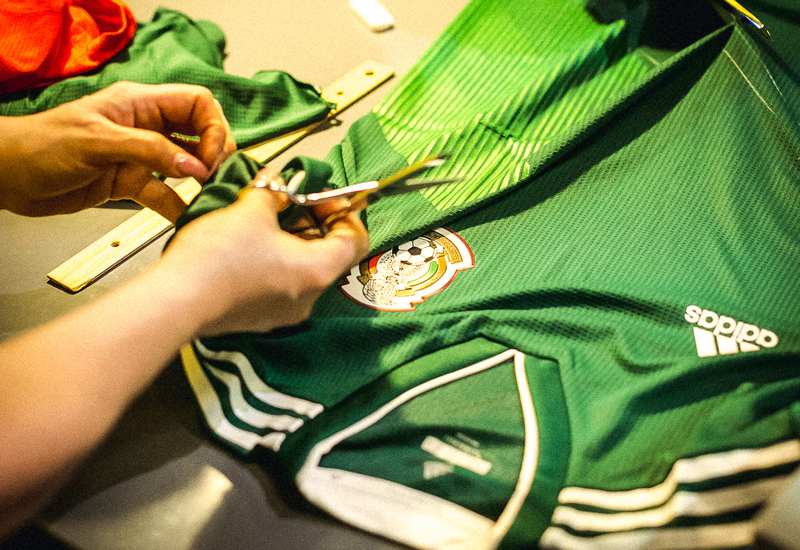 Consumers could choose from an array of colors, letters, numbers, fonts and World Cup country patches. 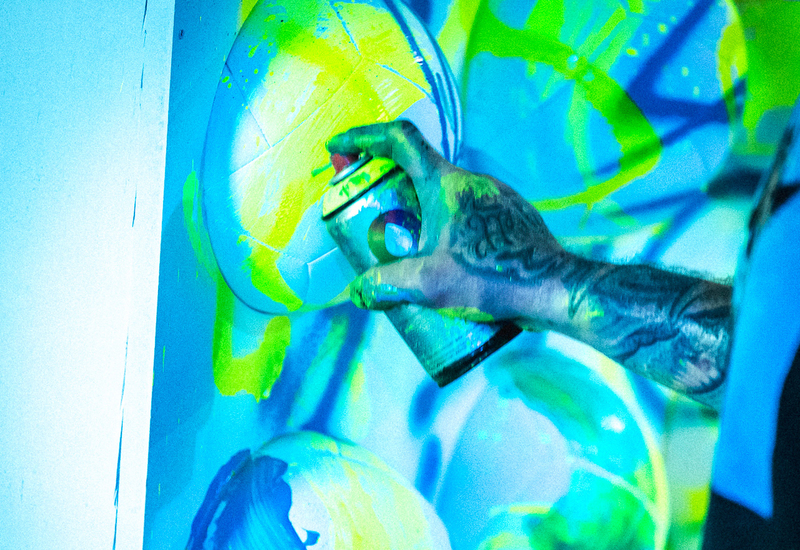 Saber also live-painted a wall of soccer balls, which were then offered to top players, influencers, VIP, media and a few fans to take home. 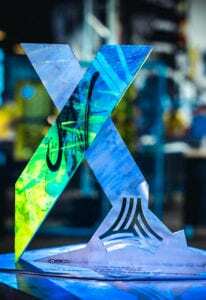 He also added the final artistic touches to a steel X sculpture that served as the trophy for the winning team. 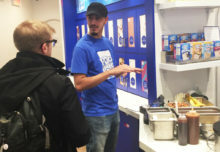 Consumers could also take part in a Marcelo Vieira augmented reality experience, where they were challenged to demonstrate their freestyle skills and be judged by Marcelo (a player for Madrid) whose likeness appeared on a large, interactive screen. Behind the scenes, a brand ambassador controlled how Marcelo would react on-screen. In the event’s lounge area, consumers enjoyed fried chicken sandwiches from L.A. hotspot Sweet Chick and pub drinks while watching a live stream of the Tango League games. Rounding out the touchpoints was a retail pop-up shop from L.A.-based Niky’s Sports, and a performance post-tournament from rapper Rich the Kid. 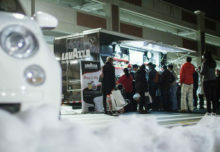 And at the end of the event the crowd exited the venue to see motorcyclists perform a trick show. One superbike gave the tournament MVP a ride into the city, representing his journey to the next stop along the global Tango League tour. Agency: Match Marketing Group, Boulder, CO.